কষ্ট করে রোদে গরমে ঘুরে ঘুরে বাসা খুঁজছেন? গেটের সামনে টু-লেট ঝুলিয়ে উটকো কলের জ্বালাতনে অস্থির? আপনার বাসা ভাড়ার বিজ্ঞাপন দিন সার্ভিসিতো তে, একদম ফ্রি! Service you need, Service you get! Tired of searching for a place to live? Just open our app and search for your desired area. Renting a place to live has never been so easy! If you are a landlord and looking for a place to post your home rent ad, you can do post your ad in our app totally for free! Tired of physically searching for an appropriate place to live according to your budget? Search apartments by your desired area and budget and contact landlord easily. Any trouble while using our app? Reach us anytime. We'll be happy to help you out. 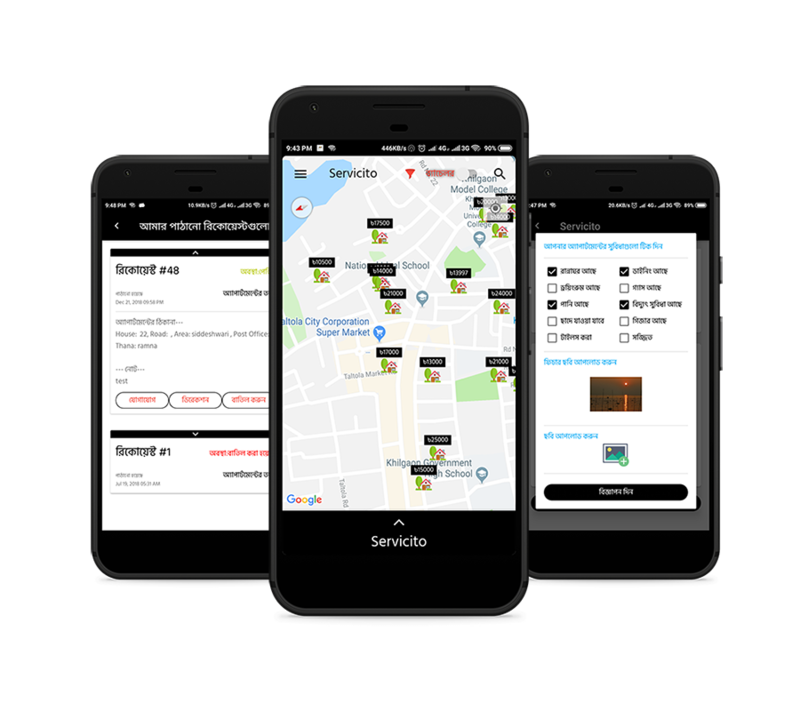 Servicito works for making your life easier and playful, by solving common problems you face regularly. For example, how many times have you physically searched for your perfect living place? It's was a really painful job everytime, wasn't it?. Now you won't have to deal with it, just open our app and you'll find everything you need.